Chemical industry -- SHENZHEN SUNEVAP TECH CO.，LTD. 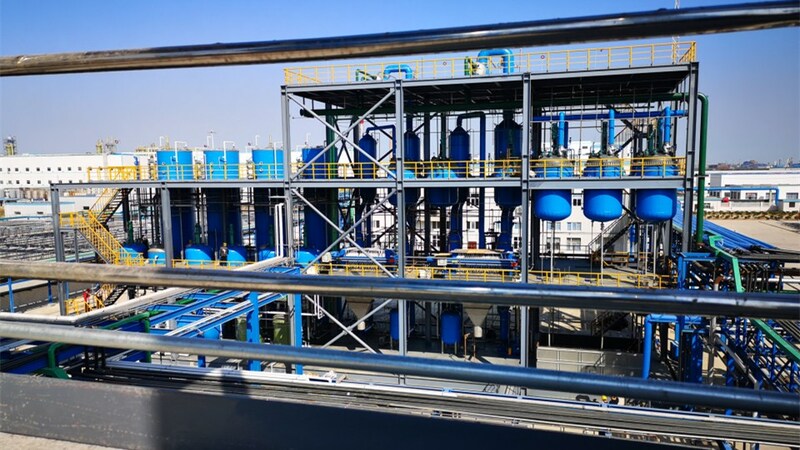 In the methanol plant and methanol to olefin project of chemical industry, a large amount of mixed high brine is produced, and the stability of MVR evaporator operation needs to be guaranteed by reducing the content of Ca and Mg ions through pretreatment. In addition, organic matter has a great impact on the system, so it is necessary to reduce organic matter to less than 300 to ensure the stability of the system.